In a similar previous post on FAQs for MBA applicants, we covered topics such as deciding when to apply, Round 1 vs Round 2, and how you should fashion your MBA applications. In this article, we will address some other frequently asked questions – how to select your MBA recommenders, how to tackle the failure essay on applications, and how far extra-curricular achievements can help in MBA applications. 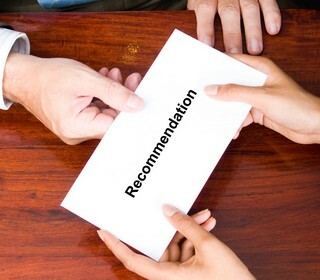 What are some of the criteria that the candidate should keep in mind while selecting recommenders? Should the candidate manage the recommendation letter writing process? What are some of the best practices? The answer is that it is important to select someone who one has worked with rather than just go for the person with the highest designation who will still agree to write the recommendation. A lot of candidates feel that if they are able to get a recommendation from the CXO of their organization, their admission will be a foregone conclusion. 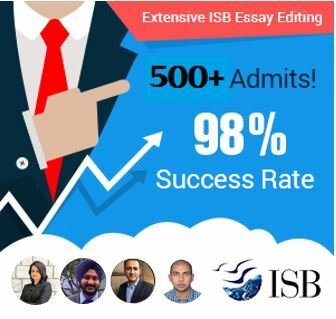 Remember, B-school Admissions committees are unlikely to be impressed by the credentials of the person if he or she cannot write about you very well in the recommendation! At the same time, it is worth mentioning that if you can get a recommendation from someone who is a well known and respected figure, go for it. To make matters clear, here are two examples. Example 1: Choosing between a senior manager of the company who you work for every day and the company’s COO who once asked you to pull together some data for the board presentation => Go for the senior manager. Example 2: Choosing between the senior manager mentioned above and Azim Premji (assuming he agrees to write the recommendation) => Go for Premji. 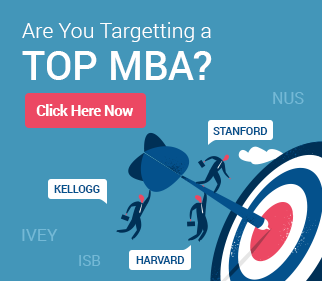 Considering applying to a top MBA program? From understanding the strengths you bring, to helping you avoid mistakes, GyanOne has deep expertise across the MBA Admissions process. See some of our reviews here. We have helped hundreds of professionals get into top MBA programs. Contact us today to know how we can help you too! Questions about failure are another common set of questions seen in many B-School Applications. Apart from the obvious takeaway of “learning from the mistake/failure”, what are some of the other aspects that the MBA Admissions team is trying to learn about the candidate? There are two other important aspects that the Admissions team is trying to judge through this particular question. The first is whether the candidate is aware of his or her weaknesses and has the humility to acknowledge when he/she has been successful. We are all human and at some point of time can make a mistake. The important part is being able to acknowledge it. The second aspect is how the person reacted to the failure. This is different from what the person learnt from the failure, and what the school is trying to judge here is how the applicant reacts to challenges and addresses them. Some applicants tend to shy away from mentioning real failures as they feel that doing so will project them as poor candidates. This is not true at all. In fact, doing the opposite may cause more harm. Teamwork has been given great emphasis in MBA applications. Most MBA candidates have team experiences throughout their career. What specific experiences and characteristics are being analyzed with teamwork related questions? The basic attributes being analyzed through teamwork-related questions are fairly clear – your ability to be an effective part of a team, to be comfortable working in a group setting, and be able to manage and get along with others. While these are the basic factors, there may be more depending on the school one applies to, as different schools view this characteristic differently. Some schools are very particular about asking for evidence of group achievement, while others are not too concerned about it. This is why knowing the school you are applying to inside out can be very important. A good admissions consultant will usually be able to give you a perspective on this that goes way beyond what just the website will offer. Some MBA applicants feel that leadership via community involvement is an important part of the assessment. 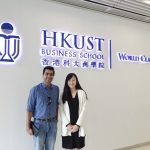 As a result, they feel that they are underprepared to apply if they do not have some NGO work or social contribution to show for their MBA applications. Is community involvement or social contribution a critical part of an MBA application? Will not having such involvement to show make your application ‘weak’ on extra-curriculars? The short answer is no. For the long answer, one needs to understand two important aspects of this issue. First, it is important to understand that community involvement is not a pre-requisite for admission to all top programs. Some programs do place emphasis on it, but not having had community involvement certainly does not make one’s application weaker. Similarly, some people believe that a passing involvement with the local NGO will provide a boost to their application. Both beliefs are wrong. It is also important to understand that extra-curricular activities are not all about community involvement. Running a marathon, collecting rare coins, or writing poems is an extra-curricular activity too. Having no community involvement might not hurt your application, but having nothing to show as an activity outside work will. Your work achievements will not compensate on this front – professional achievements are viewed as distinct from activities outside work. It is important, in the view of MBA Admissions Committees, to be an interesting person outside work as well.